To the best of our knowledge, EIA Rewards is Canada's only airport reward program. A rarity in the loyalty world, airport reward programs can be found at several airports around the world with the most famous and largest program being London's Heathrow Rewards. EIA Rewards, is the reward program for Edmonton International Airport (YEG) and differs from Heathrow Rewards as it not a points program like its British counterpart. What EIA Rewards offers are access to better services and discounts for using select merchants or service providers at Edmonton International. There are two versions of the program, one is for residents of Edmonton and the other, the Connecting Passengers programs is for residents of select cities and provinces of Canada. For complete details and to join the program as an Edmonton resident click here. If you don't live in Edmonton, you can still join the program if you reside in select cities/provinces and connect via YEG. Eligible connecting passengers live near airports requiring connecting flights including Grande Prairie, Fort McMurray, Red Deer, Kelowna, Vernon, Kamloops, Vancouver Island, Saskatchewan, Manitoba, Nova Scotia, Newfoundland, New Brunswick, Yellowknife and the Northwest Territories. That's a pretty good offer for those eligible non-Edmonton residents! Four Plaza Premium passes are a sweet deal! For complete details and to join the program as a connecting passenger click here. Both Edmonton and connecting passengers have the chance to win flights on WestJet to any city the airline flies to directly from Edmonton if you join the program by July 31st! 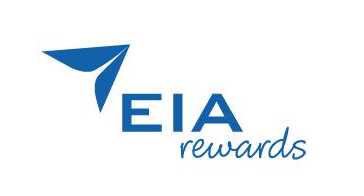 Are you a member of EIA Rewards? We'd love to hear from you in the comments section on how you have used the program already to make your YEG experience even better.